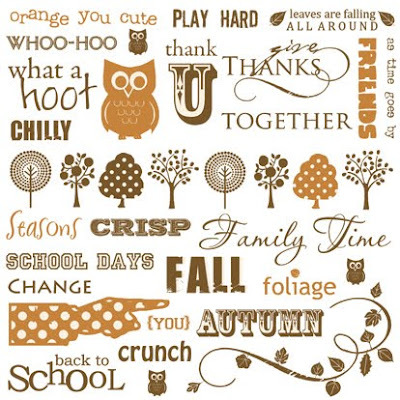 There's no lack of fabulous fall finds out there for you to grace your seasonal creations! Pink may not be a typical 'fallish' color, but this particular rich shade is just the perfect unexpected touch when paired with the more tradition and rich shades of oranges and brown. I love everything about this transparancy overlay...the distressed edge, the delicate swirls and leaves along the left side and the multi-font title (Is that Porcelain? I LOVE Porcelain!) in a deep shade of brown. Just beautiful! Just LOOK at those cute little trees! 'Nough said. 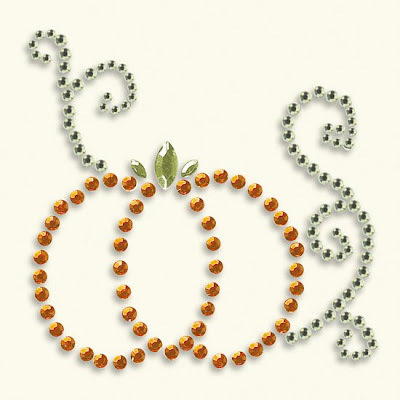 What's more cute than a pumpkin with a little sparkle? Nothing, I'd say! 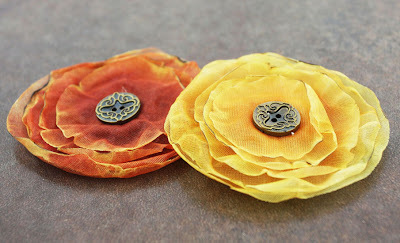 I'm actually not one to use a whole lot of flowers on my layouts, but I immediately fell in love when I saw these blooms by Prima. 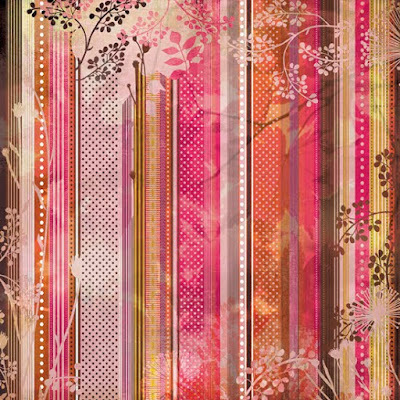 The layers, the texture, the variation of color, the decorative centers...stunning!! So, what's your favorite fall product find? Please leave us a link to it in the comments! !